Gone are the days when women prefer to go through all the hassle of wearing contact lenses rather than wear eyeglasses and look geeky. 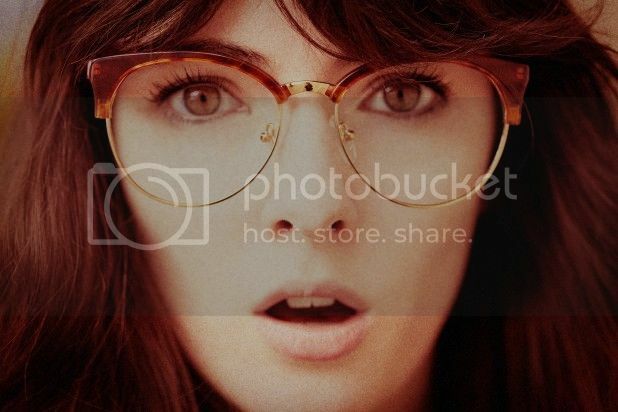 Today, there are so many online optical stores offering a wide selection of stylish eyeglasses. This fact have made shopping for eyeglasses and wearing them more fun. Plus, women no longer feel unattractive and nerdy. However, careful attention must be observed when buying a pair. It must match perfectly with your personality and face shape. Always choose frames that enhance your best facial features because the right eyeglasses can also be a bold fashion statement. If you have an oblong face with oval features, a rectangular or squared frame is suitable. Frames with a low bridge that shortens the nose will also look good on an oblong face. For women with an oval shaped face, do not buy frames that are too narrow. If you have a diamond shaped face, you would want your frames to soften the cheekbones, so oval, rimless frames, and cat-eye frames are the best choices. Those with round faces should select angular narrow frames because this gives the illusion of a thinner face. A rectangular frame is another good option. If your face has a square shape, buy narrow frames with narrow ovals and wide widths. For affordable, stylish, and comfortable eyewear, shop at Eyeglass Discounter. Established in 1982, this family owned business is dedicated to give its customers the best and most effective eyecare services available online. They only sell high quality eyeglasses and sunglasses for every face shape there is. They have hipster eyewear and even have designer glasses from brands like Bulgari, Burberry, Dolce & Gabbana, Fendi, Gucci, and Michael Kors among others. You can shop by brand or category (men’s and women’s). Some of the lenses they offer are Anti-Reflective, Astigmatic, Progressive, Bifocal, No-line Bifocal, Non-Prescription, Polycarbonate, and Scratch Resistant Lenses. The competent staff and licensed eye care professionals at Eyeglass Discounter make sure that all the queries of customers are answered and that they are provided with all the information they need concerning their eyesight. Being able to assist and eventually make customers happy is their utmost goal.